Jersey-based CoinShares announced today that two Exchange Traded Notes (ETNs) connected to the price of the Ethereum cryptocurrency can now be traded on Nasdaq. Denominated in both Swedish Kronor and Euro, the ETNs are designed to track the price of Ethereum and are based on the average value of a select group of liquid Euro exchanges. This comes as no surprise with other providers including XBT issuing similar ETNs for tracking Bitcoin last month and GABI, the first regulated BTC hedge fund combining the two entities to launch CoinShares who have crypto assets of around $300 million. These previous ETN’s were made available to investors through Hargreaves Lansdown. Investing in cryptocurrencies have been notoriously difficult for everyday investors due to wallet, transaction and exchange complexities however with CoinShares historic NASDAQ announcement non tech-savvy investors will now have full access to the cryptocurrency market. In the last 18 months at least fifteen cryptocurrency funds have launched and around five crypto-based investment products are currently pending review with regulators in the U.S. and elsewhere. “Today is a historical moment for Ethereum and ether as an asset; and for the future of crypto-assets. It was a little over two years ago that the bitcoin ETNs began trading – offering investors exposure to bitcoin via an established exchange for the first time. Today, we are able to bring ether to the market and mark another major first. It is important to remember how far and how fast the space has matured in the less than 8 years since this revolution began,” says Ryan Radloff, Co-Principal at CoinShares. What type of investors do you hope to attract with the ETH ETNs? Product is for any investor who has qualified access to Nasdaq Stockholm. Can you give us an estimated $ price of what you think Ethereum will trading at by 2018? Do you plan to trade on other exchanges such in currencies such as £ or $ ? What other cryptocurrencies do you have in mind? are you open to other ETNs with other currencies? We delivered this product because the market had been requesting it since last year. We will follow market demand for future products as well. Renowned businessman and security analyst John McAfee has partnered with and will sit on the advisory board of BitIndia, an open source blockchain wallet and exchange for the streets of India. With less than 0.5% of indians currently utilising Bitcoin, the company aims to educate and promote cryptocurrencies to directly take on the very real and growing issue of high banking rates that currently plague over 1.2 billion of the country’s people. This is to be achieved through an easy to use cryptocurrency platform that takes away the complexities of cryptocurrencies and replace them with an intuitive system which not only allows the average layman to store and use Bitcoin, Ethereum and Ripple currencies but to also trade them against the national currency, the Indian Rupee. Plans also include for seamless integration on a local level allowing users to access terminals that allow for everyday and recurring purchases such as groceries, bills and dining out. 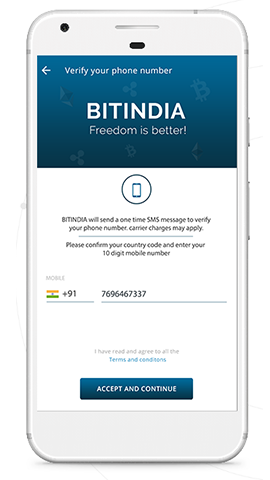 Given the size of the Indian population and its urgent need for a decentralised and fairer economic system if executed properly BitIndia is in a prime position to spearhead and develop the Indian Cryptocurrency space into a major global player, one that will shortly rival China and South Korea. John Mcafee’s no stranger to business, his role at Bitindia will bring a great deal of unparalleled expertise and guidance. The cloud storage industry is currently dominated by DropBox, Google, Microsoft and Amazon. These companies have taken the lion’s share of customers in the file hosting space however this is very likely to change. A small and fairly unknown blockchain startup going by the name of Sia aims to end this monopoly by redefining the technology and processes behind cloud storage. Control – One company having full control over your data. Ownership – Who owns your data and how will they use it, sell it and profit off of it. Security – Centralisation means bugs, malpractice and hackers can target very specific companies and infrastructure. In fact DropBox lost 68 customer million passwords not so long ago and for a short period of time and any user could access the data of other users at will. Scalability – Each organisation needs to operate massive data centres to fulfill the storage and processing needs. As these companies become even bigger the issues above become compounded. The blockchain technology behind Sia is completely new for the industry and takes a more decentralised approach to solve the issues above. When a customer uploads a file to the network it is automatically encrypted and split up into hundreds of tiny pieces. Only the uploader has the private keys to decrypt and view this data. All these encrypted pieces of data are then uploaded across many hosts and duplicated for impeccable redundancy. With Sia storage is no longer controlled or owned by a company. Instead anyone can become a file hoster by leasing spare unused hard drive space to store encrypted data. File hosters and uploaders create a sort of digital handshake called a ‘smart contract’ which manages the storing of data between the two parties and pays the renter for the hard drive being used by the uploader. With Sia clearly solving very real storage issues and making great progress with the project we believe it is a great time to invest in the project. A $1,000 investment today would get you 113,000 Sia. Ripple takes blockchain technology and applies it to the traditional banking sector, resulting in trustworthy, verified, scalable, instant and cheap banking transactions. For example the current Faster Payments banking service is an initiative between several banks to reduce the time of transfers between registered bank accounts. However transfers outside of that scheme take much longer and are routed through third party intermediaries. This process is not only risky but also labour and time intensive. Ripple solves these problems. At the time of writing over 100 banks across the globe are trialling Ripple’s blockchain technology. Some of these banks include Santander, UniCredit and most recently the world’s largest Islamic bank, Al Rajhi Bank. We think the technology behind Ripple will likely become the financial industry standard in the not too distant future. Ripple has been within the top ten 24 hour volume across all cryptocurrencies and assets for several months now and it’s XRP currency has reached highs of $0.40. A $1,000 investment today would get you 5,400 Ripple. The Microsoft backed Stratis platform is known as the C# equivalent to Ethereum. It enables programmers to produce decentralised, smart contract based apps very quickly and easily using a tried and tested programming language that has stood the test of time. This opens it up to an already massive developer base with little to no additional learning required, giving it a clear edge over Ethereum. 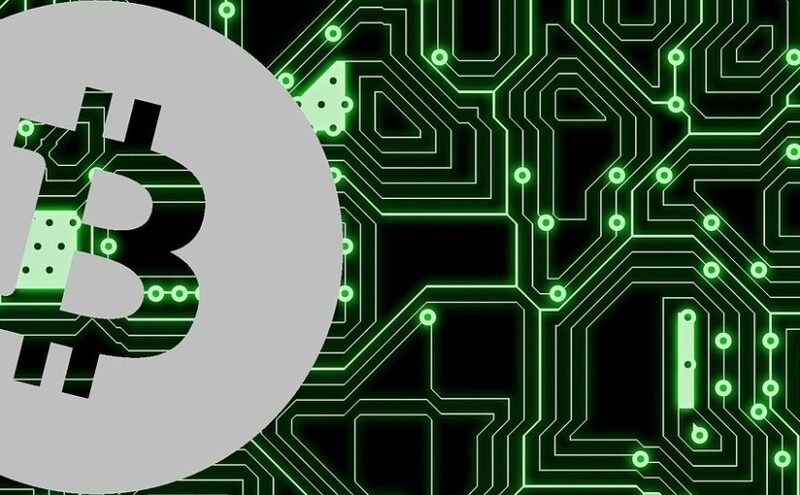 Stratis is also poised to release its long awaited TumbleBit service and smart contracts in Q3 of this year and is developing the “Breeze Wallet”, a wallet feature that aims to boost privacy of both Bitcoin and Stratis users. In the last month Stratis saw significant highs followed by a very quick drop. The coin reached all time highs of $11 but currently trades at $3. This is an ideal opportunity to buy in whilst the price is still low. A $1,000 investment today would get you 160 Stratis. Golem is on track to becoming the world’s first decentralised supercomputer. It utilizes the Ethereum blockchain to harness the unused/ idle power of millions of connected resources and turns it into sellable computing power. Many companies and individuals require a service like this and currently have resort to small scale farms that can take days to process/ render and cost a small fortune. For example games developers, film studios, data mining operations and medical researchers have to use vast amounts of processing power to complete very specific tasks. With Golem all these companies will have an always accessible, affordable supercomputer at their fingertips. With its vast processing power Golem can also be used for making predictions across different industries such as betting, stock markets and even environmental changes. Anyone with a computer can lease their unused processing power and in return get paid in GNT tokens. These tokens can be re-used, transferred to an exchange for trading or sold for more traditional currencies such as USD/GBP. When taking a step back and assessing Golems end goal it offers a very unique investment opportunity not seen with any other project. It has many real world, life changing uses and the possibilities are endless. Sitting at just $0.23 cents Golem is criminally cheap right now. A $1,000 investment today would get you 3,500 Golem. Monero is somewhat of a crypto veteran. The coin doesn’t mince its words and does one thing, albeit extremely well. It is currently the most secure and private coin on the market. Anyone looking to make a safe long term investment would be wise to invest in it. The coin is seen as the ‘gold standard’ for privacy conscious users looking to stay permanently in the shadows. In fact Monero is in the top 5 most used cryptocurrencies for day to day purchases and traded across the Dark Web making it one of the few coins that is actually used as a currency. A $1,000 investment today would get you 24 Monero. Verge is an interesting (and possibly controversial) entry. Like Monero it is aimed at users who take privacy seriously and combines Tor and i2p technologies to increase blockchain anonymity. The project has one of the most active communities with a huge development team regularly ticking off new and exciting features on the roadmap. In June alone Seven major new features were pushed live. Everything from Tor based Android wallets to RSK Smart Contracts are planned for July making this coin one to watch, especially at its current price. Despite recent price volatility the project is moving at a very quick pace and we believe this will be reflected in its price very soon. So that’s it! There are many other projects we would have liked to add and others that ‘sound great’ (ICO frenzy anyone!!). As these projects mature and show their progress they will also be assessed and our verdicts shared. Good luck. A $1,000 investment today would get you 324,000 Verge.